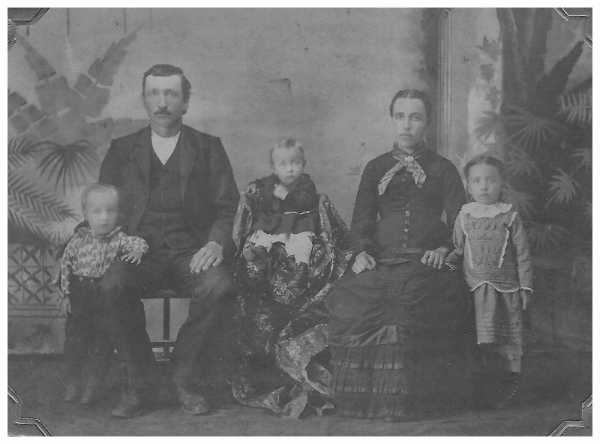 My Great Grandparents, John and Anna Pimple, moved 8 times: from Westphalia, Iowa to St. Bernard, NE with 3 young children in 1886; from Nebraska with 4 children back to Westphalia in 1888, where their 5th child was born; from Iowa to Oberlin, Kansas in 1889 where their 6th child was born; from Oberlin to Randolph, Nebraska where 7 more children would join the family; from Randolph, NE to Wein, Missouri with 13 children in 1904 (okay, the oldest ones would have been 19, 21, and 22 years old); in Wien, MO, the last two children were born. 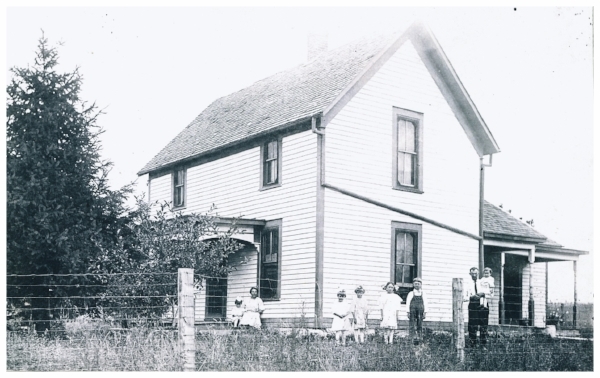 The family moved two more times: after 8 years in Wien, MO, they went back to Oberlin, Kansas for 3 years; then in 1915 they moved to St. Peter's community near Fleming, Colorado. My grandparents, John and Kate Kohnen (Kate Pimple married John Kohnen in 1906) lived in Wien, Missouri until 1919, then moved with 7 children to St. Peter's community in northeastern Colorado. The Kohnen Family with 6 of their children in Wien. From oldest to youngest, the children are George, Cecelia, Frances, Edith, Margaret, and Jack. Tony was born in 1917, before they left Wien. After coming to Colorado, three more children would join the family: Bob, Ralph, and Ruth. Our family moved a lot, too. Cathy and I were born in Bartlesville Oklahoma, Tom in Denver, and Dave in Casper Wyoming. In between, we also lived in Billings Montana, Sterling Colorado, Anadarko Oklahoma, Scottsbluff Nebraska. I was 5 when we moved to Casper and 10 when we moved to Arvada, Colorado. That's when Mom said we were not moving any more. She had moved 6 weeks after my brother, Tom, was born and 6 weeks before my brother Dave was born. My siblings have all moved out of state. Chris and I are the ones who stayed put in Colorado. I guess it was time for someone to take up the adventure. We'll be trying to figure out our lives once more. Who are we without these wonderful, active, joyous beings close by? I guess we'll have to learn how to travel more, just for visits.